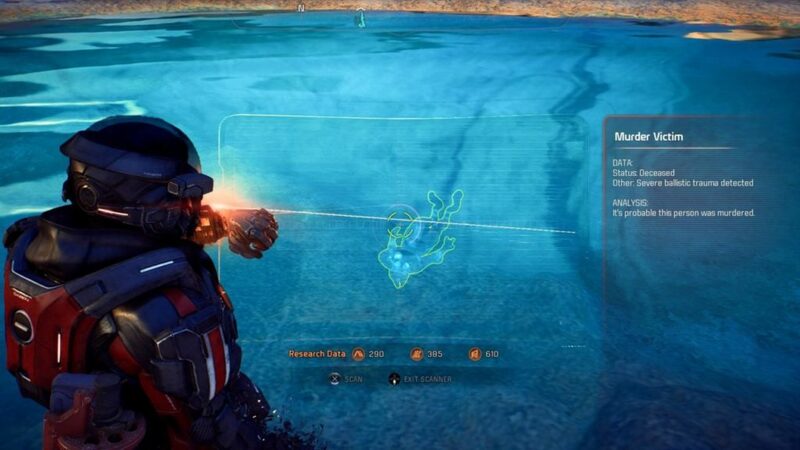 The page contains the Side Quest, Counting Bodies which takes place on Kadara. 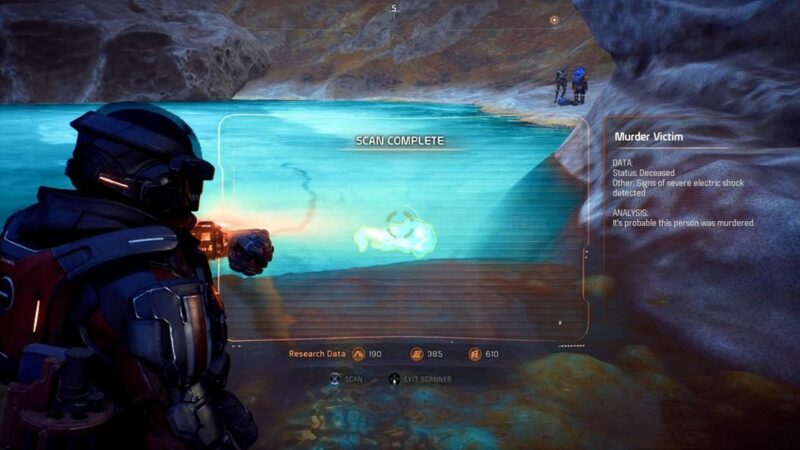 Sulphuric acid pools litter the landscape of Kadara, providing great opportunities to hide dead bodies. Click here to go to our Side Mission Walkthrough Directory! Meet up with Seneris by the nearest Acid pool to Kadara slums. 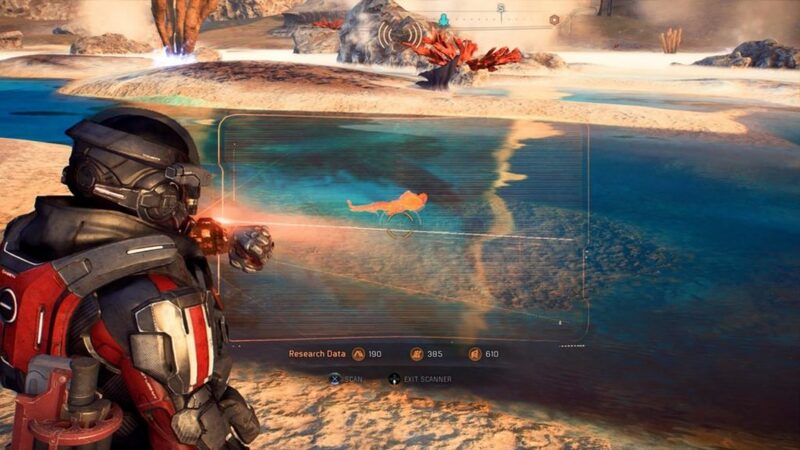 It’s best that you terraform the planet first before you attempt this mission, since wading in the water is extremely dangerous apart from it. Your first corpse can be found in the area. You’ll find it in the deepest part of the sulphur pool. Carefully scan that. Other: Severe ballistic trauma detected. This corpse is by a sandbank with a Heleus flower you can scan. 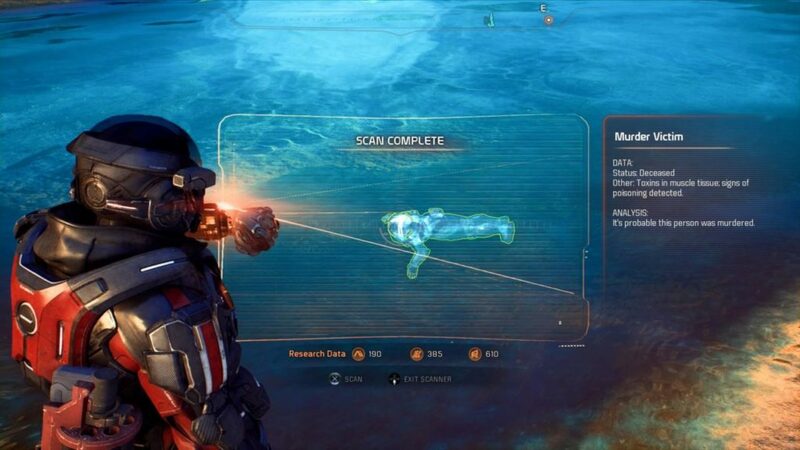 Activate your scanner. The corpse is to the North-north west. Trachea is crushed. It’s probable this person was murdered. This corpse is between a sandbank and a huge rock formation. It’s probable this person was murdered. This corpse is found deep in a pool. Other: Toxins in muscle tissue; signs of poisoning detected. Talk to Seneris. You can choose either to give it to her or to her turian friend Drexel, who offers cash.